Sister companies Denon and Marantz have become the first A/V receiver manufacturers to release firmware updates enabling their products to decode DTS:X soundtracks. The free firmware upgrade is currently available on the companies’ flagship units: Denon’s AVR-X7200W/WA receiver and Marantz’s AV8802A preamp/processor. Owners of those models can download the firmware immediately, directly from the respective units. Owners of other “DTS:X-ready” models will be happy to know that this initial upgrade list is about to get longer. The Marantz AV7702mkII will get the DTS:X upgrade on March 3. When will other companies release DTS:X updates? Denon and Marantz are first out of the gate with DTS:X upgrades on select models, but neither company has announced firmware updates for the rest of their DTS:X-ready lineup. None of the other manufacturers with DTS:X-ready receivers on the market have announced firmware updates either. Sources tell me Yamaha plans to provide its first DTS:X firmware upgrade as early as March. The timeframe for other manufacturers—including Anthem, Onkyo, Integra, Theta Digital, Steinway Lyngdorf—is even more vague. Barring surprise announcements, users might have to wait until late spring or early summer to get the firmware updates that will enable them to play DTS:X soundtracks in their home theaters. What more have we learned about DTS:X? As firmware upgrades for Denon and Marantz slowly trickle out, we’ve learned a bit more about how the technology’s potential and real-world implementation are coming together. 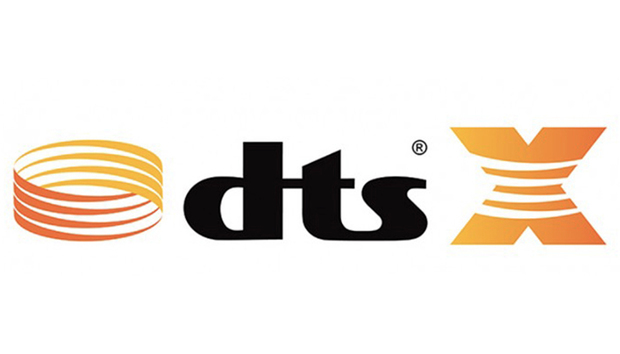 I recently sat down with DTS’s Director of Global Communication Jordan Miller and gained some additional insight about the technology. DTS:X can take advantage of all standard height-speaker layouts. Denon’s updated user manual providers users with a layout placement guide. With regard to how DTS:X supports multiple speaker layouts, Miller said: “In its current state, DTS:X itself supports nearly any layout you can imagine. Practically speaking, there is a limitation to how many layouts each manufacturer would like to support, so it’s a case-by-case basis.” For those A/V receivers that have been sold as “DTS:X ready,” you’ll see traditional 5.x, 7.x, or 9.x layouts, plus two or four height speakers. 11.2. is the maximum DTS:X configuration that A/V receivers will support for the immediate future. In practice, users have multiple options for height speakers. You can use in-ceiling, on-wall, and even Dolby Atmos up-firing speakers for height channels. Miller told me that if up-firing speakers are used, “DTS:X outputs audio as if there were physical height speakers present.” Height speakers can only be configured in pairs. DTS delivered on its promise of backwards compatibility with previous bit streams and speaker layouts. It also features a spacial remapping engine called Neural:X, which will give you an immersive audio experience with older 2.0-, 5.1-, or 7.1-channel content. According to Jordan, “Neural:X utilizes highly advanced spatial analysis algorithms to derive an ideal remapping path between the native content format and the end-user’s speaker layout. Simply put, it creates an impactful and tasteful 3D spatial experience by breathing new life into your current library of movies and music.” First impressions about content upmixed through Neural:X have been positive. The speaker layouts you can use will be dependent upon those supported by the manufacturer. Here are the different speaker layout options that Denon supports. DTS:X’s interactive elements include Dialog Control, which treats dialog as a separate audio object. This gives you the ability to adjust the dialog independently of the rest of the mix—regardless of which speaker it’s coming from. As cool as this feature sounds, in practice, you’ll only be able to use Dialog Control if it has been specifically enabled in the content metadata; in other words, it won’t necessarily be available in every soundtrack, even it is encoded with DTS:X content. While it’s great news that consumers who purchased DTS:X-ready gear are finally getting the firmware updates needed to enable that technology. As promise and real-world practice come together, on the other hand, it’s becoming apparent that not every aspect of DTS:X’s potential will be realized in the real world. Some features will rely on the way audio engineers master content, while others—such as speaker-layout options—will depend on what consumer-electronics manufacturers choose to enable in their products.